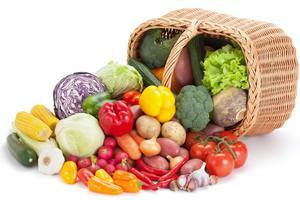 Recipes & Food Home › Freezing Produce › How to Freeze Food – General Information, Blanching etc. How to Freeze Food – General Information, Blanching etc. We mainly use our freezers for our own home grown produce. Fresh is best, of course, but the fact is you’ll always have a glut when home growing and it is nice to eat your favourites out of season. Some things are unsuitable for freezing such as chicory, cucumber, endive, kale, lettuce, radishes, Jerusalem artichokes. Other vegetables, such as potatoes and other roots, are best stored in other ways, but you can freeze them if you wish. Freezing is a very simple process based on how quick heat can be taken out of food. Broadly speaking the quicker food is frozen and the slower it is thawed the less change there will be in texture, flavour and appearance. Quick freezing halts bacterial growth instantly and produces tiny ice crystals, which cause less damage to the cell structure of the food. Slow freezing results in the formation of large ice crystals, which damage the cell structure and cause loss of nutrients and often leaves the food inedible. Do not try to freeze too much in one go – never more than 10 per cent of the freezer capacity in any 24 hours or else heat will be absorbed by the freezer’s refrigeration system and raise the temperature of food already frozen. Also, the colder the food when it goes into the freezer, the less work the freezer has to do. We pre-cool in the fridge down to about 5°C before freezing down to -18°C. Before you start preparing food for freezing, you should turn your freezer on to its super or fast setting – preferably three hours or so before. For small quantities this may not be necessary. Do check the individual appliance’s instructions on this – some machines require longer. The super setting ensures that when freezing down, the food already in the freezer remains at the optimum temperature of -18°C and the food being frozen cools as quickly as possible. To get your vegetables to store well in the freezer indefinitely, you will need to blanch them. This is essential with most vegetables. Blanching destroys certain enzymes and bacteria whilst helping to preserve the colour, texture and flavour of the food. It also helps retain vitamin C.
The method is really quite simple. You need to put the food into boiling water and raise its temperature as fast as possible. We use a very large saucepan with a lid. Even just sitting the lid on the blanching basket reduces the time the water needs to get back up in temperature and the energy needed to maintain it. You need at least 6 pints of water per 1 lb of produce, about 4 litres to 500g. You also need a blanching basket. This is just like a sieve with larger holes, similar to an old fashioned deep frying basket, and is used to hold the produce together in the pan and to enable you to lift it out easily when finished. So, with water in your pan at a fast boil, put your vegetables in the basket and plunge into the water. The water needs to be back up to a rolling boil in one minute or less. If you can’t do that, blanch smaller portions. Keep a lid over the pan to hold the heat and steam in. Then hold at the boil for the time stated in the blanching chart. After this you need to get the temperature down as fast as possible and stop the cooking process. We plunge into a bowl of cold water for 5 seconds or so to kill much of the heat, then transfer to a second large bowl of water with ice cubes in it, changing the water in the first bowl each time to keep it as cold as possible. If the boiling blanching water starts looking mucky you should change it. When this happens depends on the vegetable. When the food is cold, remove from the water and drain and/or dry off – beware: broad beans will turn your tea towel brown! – then pack into portion sized freezer bags. We tried large bags but the contents tended to stick together and with portion sized bags you can always use two if you have visitors for a meal. Pre-chill in the fridge down to 5°C to reduce the workload on the freezer and freeze the food faster, then put the food into the freezer. Remember, not too much in one go or the other contents of the freezer may rise in temperature and will deteriorate. Freezers – Chest or Upright Freezer?